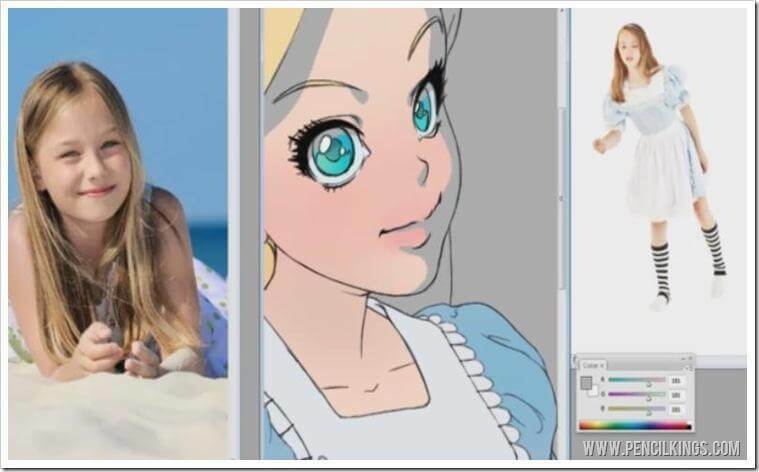 Want to learn how to draw anime and manga? 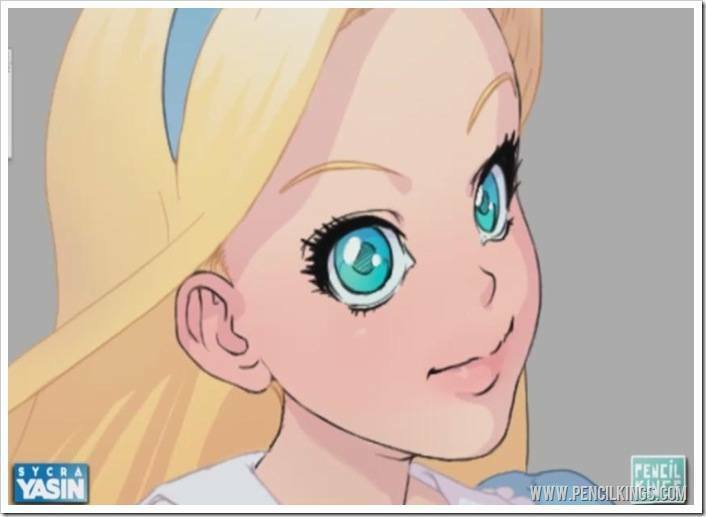 In our previous lesson, Sycra showed you how to add areas of shadow to Alice in Wonderland’s face, taking note of where the light source is coming from and how that affects where the shadows will fall. 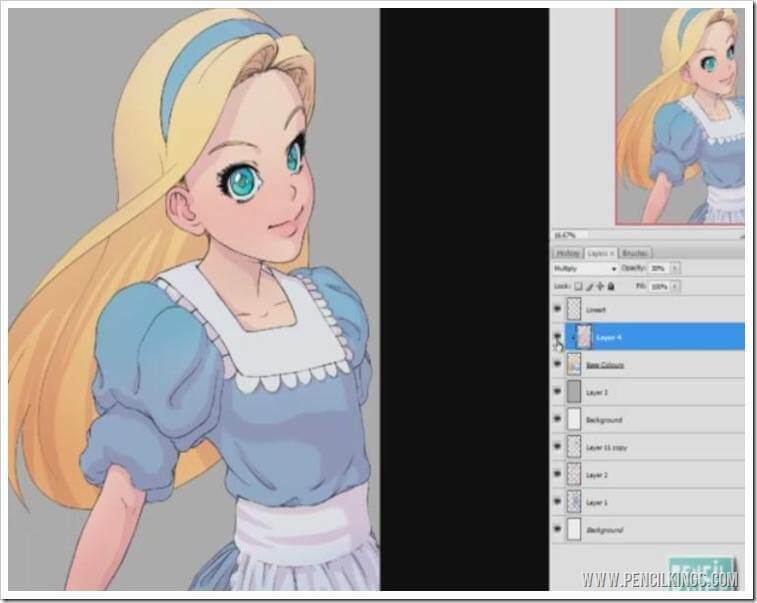 Now, you’re going to apply the same principles to Alice’s hair and clothing to create an awesome 3D feel to your digital painting. 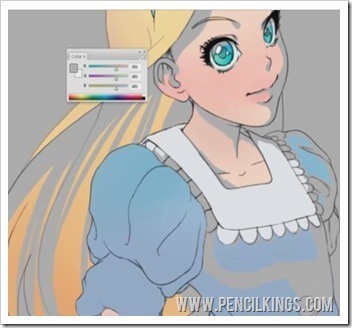 To add shadows to the hair, make long strokes with your Pencil tool that follow the flow of Alice’s hair. As you can see in the example above, you don’t have to worry about being too messy when doing this – we’ll be going back in with our Eraser tool to rub out any areas we don’t need. And, because you’re using this gray color, it’s very easy to see the lines you need to rub out afterwards.Of course, you don’t have to use a gray color when learning how to draw anime and manga if you don’t want to – you may prefer to use a vivid green for example. Any color is fine, so long as it shows up well against your other layers – we’ll be altering this later to create realistic-looking shadows in your painting. Feel free to change your brush size for larger areas and keep zooming in and out of your composition to give you a good overall view of how everything is looking. Once you’ve cleaned up your shading areas in the hair, you’re ready to move on and lay in some shadows for Alice’s clothing. 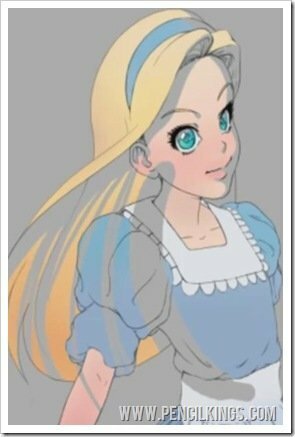 You can use the same technique for laying in the shading on Alice’s clothes as for her face. Hit Ctrl then F to give you a full screen view, and then add areas of shading to the folds in the fabric. Try to imagine where the shaded areas will fall, such as on the sleeves and on the apron. Again, use your reference photos to give you an idea of how it should look. Once you’re finished, we can then move on to adjusting the color of the ‘shadow’ layer so it looks more realistic. Now that all the shadows are done, you can change the color of this layer so that it looks more natural. The first thing you need to do is change the layer mode, so that you can see the colors of your painting beneath the shadows. 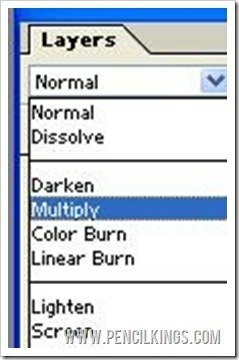 To do this, bring up the drop-down menu in your Layers palette, then select Multiply instead of Normal. This will now create a much more realistic-looking shadow layer to work with. Notice how you can now see the colors beneath?Next, hit Ctrl and U, to bring up your Hue and Saturation palette, and then tick the Colorize button in the bottom right. Now, you’ll notice how this gives a color to our shaded areas which you can then adjust using the color sliders. At this point in learning how to draw anime and manga, you can go wild with any color shadows you like – it’s all about personal preference. 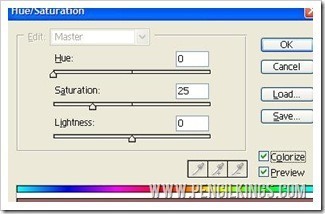 For example, if you were to select shadows with a green hue, this would give your painting an ‘otherworldly’ quality which you might want to use.In the end, Sycra chooses a purple/red shade for his shadows and then drops the opacity of his ‘shadow’ layer to around 30 per cent – this gives the shadows in his painting a really nice subtle and clean feel. If you like, you can even use a blur to blend out some of these shadows.